The beautiful backdrop of Monza’s royal park provides the setting for the opening round of the 2016 Blancpain GT Series Endurance Cup, to be held at the famous Autodromo Nazionale Monza in Italy. AMG – Team BLACK FALCON will be running a pair of new Mercedes-AMG GT3 for the first time in the series, up against what’s expected to be a vast 57-car grid made up of the best GT teams and drivers in the world. The 5.8km Monza circuit is the home to the Italian Formula 1 Grand Prix, and a favourite of teams and drivers. First built as a combined road and oval layout back in 1922, it’s been in continuous use for almost a century. The challenge of its flat-out straights and sweeping curves hasn’t changed in over sixty years, with the track tracing the same outline since the 1950s. Chicanes might have curbed some of the excessive speeds, but they’ve introduced the additional issue of the massive braking required from high speeds. 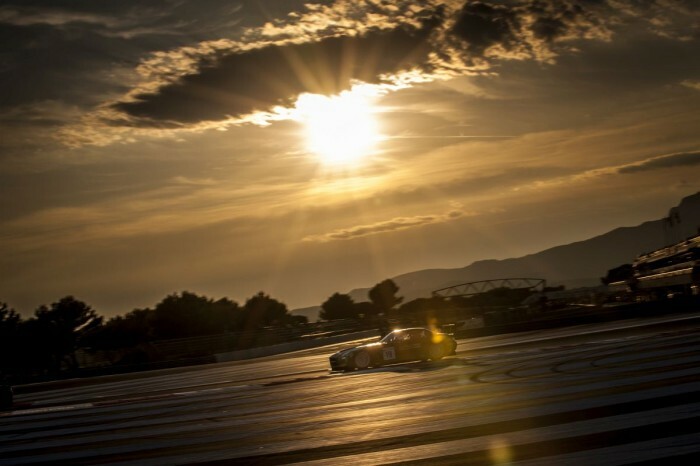 The Blancpain GT Series Endurance Cup is a series taking in five events held at iconic tracks around Europe. The majority – including the Monza opener – are held over three hours, but the series also includes the jewel in the GT racing crown: July’s Spa 24 Hours. A three-hour sportscar race is a massive challenge, especially when there are so many opposition cars of equal performance: the series exclusively comprises GT3-spec machinery. 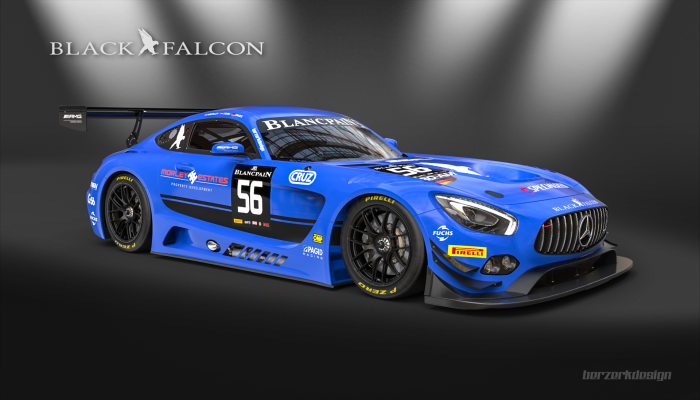 AMG – Team BLACK FALCON have two full-season entries in the Blancpain GT Series Endurance Cup, one in Pro and one in Pro Am. They’ll be competing against the cream of the world’s supercar manufacturers, with the team’s Mercedes ranged against an armada of Ferraris, McLarens, Bentleys, Porsches, Lamborghinis, BMWs and more. Entered in the Pro-Am class, AMG – Team BLACK FALCON’s Mercedes-AMG GT3 #56 will be driven by Oliver Morley (United Kingdom), Miguel Toril (Spain) and Maro Engel (Germany). Oliver is back with AMG – Team BLACK FALCON for the Blancpain GT Series Endurance Cup for the fourth consecutive year, after achieving a strong second place finish with the team at the Dubai 24 Hours back in January. Miguel is a new addition to the AMG – Team BLACK FALCON family, whilst pro-driver Maro is a team veteran and AMG-Mercedes specialist. Behind the wheel of the #57 AMG GT3 will be Hubert Haupt (Germany), Adam Christodoulou (United Kingdom) and Andreas Simonsen (Sweden), racing in the Pro class. 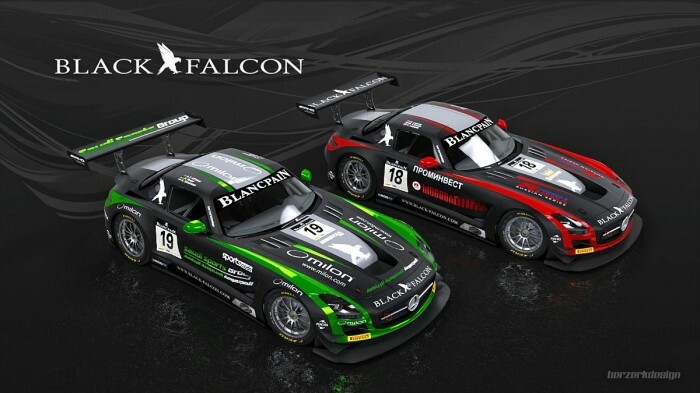 All three have been part of the AMG – Team BLACK FALCON for many years, and represent the team’s strongest ever Pro line-up. 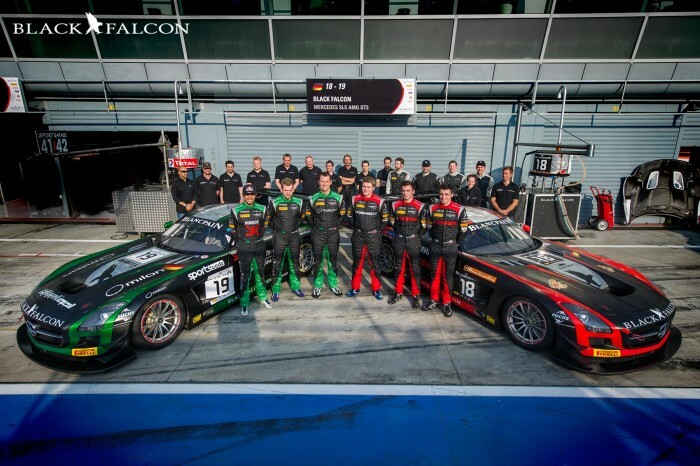 The Monza race makes up the first three hours of what will be an extraordinarily gruelling season, but it’s a challenge that AMG – Team BLACK FALCON are relishing. Follow AMG – Team BLACK FALCON via Twitter, Facebook and Instagram to get live action updates as the season unfolds.